ShowBiz Nation LiVE! 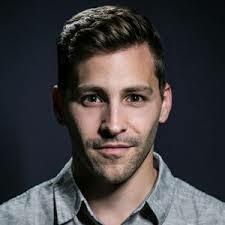 Interview with Film Director LUKE KOREM from SHOWBIZ CHICAGO on Vimeo. Film director LUKE KOREM discusses his documentary feature LORD MONTEGU, England’s most infamous aristocrat who arrested for “homosexual” offenses and became the focus of a landmark trial known as “The Montagu Case” in the early 1950’s. More more information on the film visit www.LordMontagu.comAs the youngest member in parliament and sole heir to his family’s 7,000-acre English estate, Lord Edward Montagu’s life was rich and privileged. However, in 1954, Edward Montagu, then aged twenty-five, became England’s most infamous aristocrat when he was arrested for homosexual offenses and became the focus of a landmark trial known as “The Montagu Case”. His guilty verdict sent off shock waves and became the catalyst to overturn a centuries old law, but Edward’s once pristine reputation and career were all but ruined. After serving a year in prison, Montagu rose back into the spotlight when he boldly transformed his private estate and family home into a public tourist attraction. He created spectacles at his home, most notably Britain’s first motor museum, and thus invented a new form of tourism known as “the stately home business”. His showmanship and success inspired a new breed of aristocrats to open their doors and transformed Edward Montagu into a prominent national figure. Luke Korem is a dynamic filmmaker based in Austin, TX. After graduating from Texas A&M with a degree in economics, Korem decided to pursue a career in film. With equal amounts of creative talent, technical skill and business savvy, Korem has found quick success in various roles as a director, producer, editor and cinematographer. In 2007, he created a documentary series for Rackspace, Inc., the world’s leader in web hosting, which chronicled the transformation of a 1.2 million square foot shopping mall into Rackspace’s new world headquarters. In 2009, his short film Your Future Husband won the coveted Funniest Filmmaker in Austin award and played at the Austin Film Festival. Also in 2009, Korem began production on his feature-length documentary about the life and times of the famed British nobleman Lord Montagu of Beaulieu.